Giving her heart to a mortal wasn't something the First Fate planned. Losing him nearly shattered her soul. Upon his death, Clotho swore never to love—or weave life—again. Hoping she'll change her mind before it's too late, Zeus commands the spinner of life to take a much needed vacation from her immortal responsibilities. Dane is close to cracking the drug ring he's spent the last two years infiltrating, but needs to perform one last heist to meet the head man and prevent an impending war. An undercover agent, he’s now on the run from drug lords, thieves and with the very woman whose tears make him forget his purpose. Together they’ll find a way back from the dark. Chloe will have to put her trust a man she believes is like the ones that killed her fiance, or face an eternity on Earth. Without the desire for life, hope could slip through the cracks of time if he doesn’t love away her sorrow. 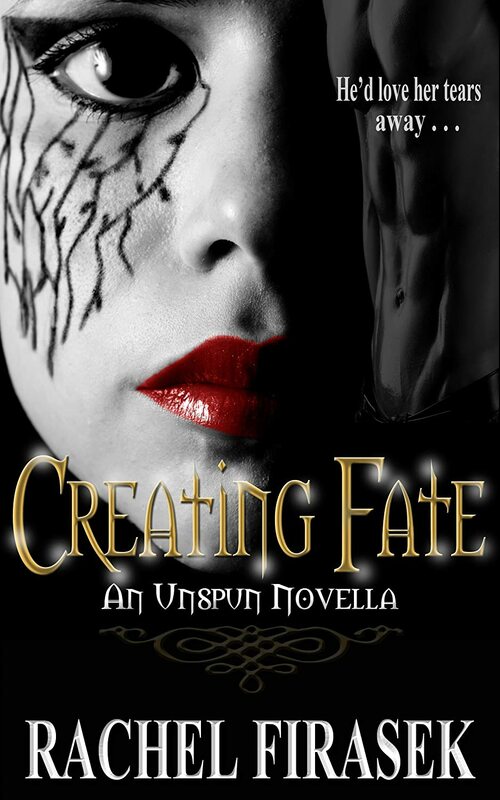 It’s no secret that I love Greek myth and endeavor to read any and all books covering the subject, so when I heard about Creating Fate, I jumped right on it. The concept of a series of three novellas called Unspun featuring the three Fates and their various love interests grabbed me and I immediately purchased myself a copy of this book and read it in one sitting. It wasn’t exactly what I hoped for, but I didn’t dislike it. It just wasn’t developed enough for me, nor was it very believable romance-wise. In general, not much happened in terms of setting the reader up to believe that Chloe (the Fate goddess Clotho) and Dane (the love interest) could fall madly in love with each other in like, a day. I’m down with the love-at-first-sight fairytale business when it comes to romance novels as long as it’s believable. For some reason, I didn’t believe it. Maybe it was because at first Chloe wanted nothing to do with Dane because she was still mourning the death of her previous love, but in the course of a few hours, she was sleeping in the same bed with him, sans a single article of clothing. But to be fair, I have seen this done before in romance books and totally loved the fact that they cut the BS and got right to the romance. I know it would’ve worked here if the characters had been more developed and I had been more invested in what happened to them. But as it stands, I’m not. With that said, the cover was gorgeous and the writing and editing was very, very good. There was a little bit of humor, action and adventure, and you get to meet a few other Greek gods that you may be familiar with (I, of course, was). I wished I could’ve seen Chloe use more of her goddess powers, but she has two sisters, Lachesis and Atropos (who is my favorite Fate), so I’m sure I’ll get my fill of mythical magic with their books. Creating Fate is definitely worth a read if you want something quick and romantic (though the romance seems forced). I’m interested to see what happens in Stealing Fate and Chasing Fate.